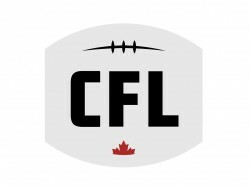 Under the Saturday night lights, Football Canada’s under-19 national team lost 33-11 to their U.S. counterparts and host at the ESPN Wide World of Sports complex in Orlando, Florida at the inaugural North American Championship. The game was the first under-19 contest between the two nations since Canada defeated the U.S. to capture gold at the 2016 IFAF U19 World Championship in China. In the game, Canada faced an explosive team that was out for revenge, tallying 485 total offensive yards. USA Football’s squad was comprised of top recruits headed to major NCAA programs. The team has a long list of alumni including NFL superstars like Jameis Winston, Tyrann Mathieu and Todd Gurley. With only five days to prepare for the game, Canada’s incoming head coach was happy with the improvement and cohesiveness shown by the team as the week progressed. Canada moved the ball well throughout the game. They had two first-and-goal chances but was unable to find the end zone. Despite the box score, Canada’s defense hung in well against a very skilled team. Kicker David Solie earned Canada’s Player of the Game honours. He accounted for all but two of his team’s 11 points and also downed a 36-yard punt inside the U.S. 5-yard line. Solie also nailed a long 47-yard field goal to give Canada some momentum in the second half. Moving forward Canada will continue to build towards defending their gold medal at the 2018 IFAF U19 World Championship. They’ll look to bring a core group of players back for next year’s game(s).